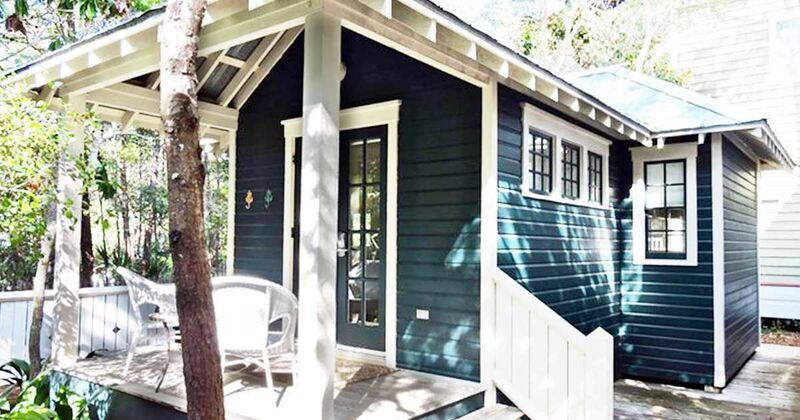 This adorable navy blue guest house is located in Seaside, Florida. Seaside is one of the first communities in America built on the principles of New Urbanism, a design movement that promotes walkable neighborhoods with shopping in close proximity and a goal of building a sense of community. Most of the 300 homes located in Seaside are vacation rentals. 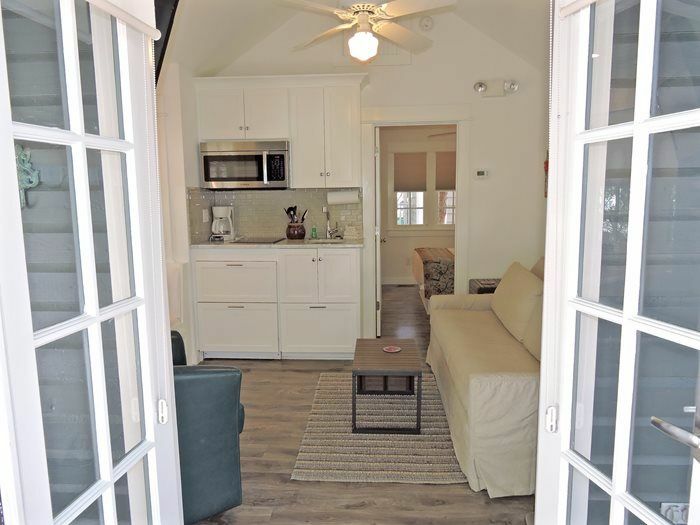 This one-bedroom charmer is available for booking through the Homeowner's Collection, an owner-managed vacation rental agency local to Seaside. 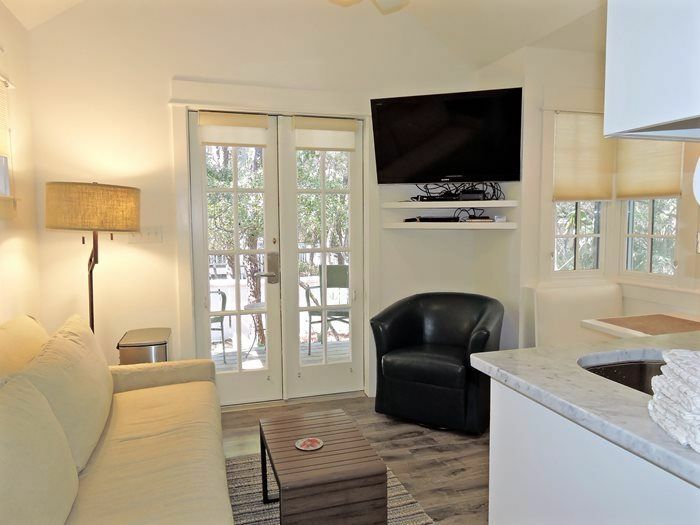 Take a look inside in the full tour below! Enter the cottage through French doors into the living and dining space. Thanks to vaulted ceilings and the bright light from the doors and windows, the little home feels larger than it actually is. 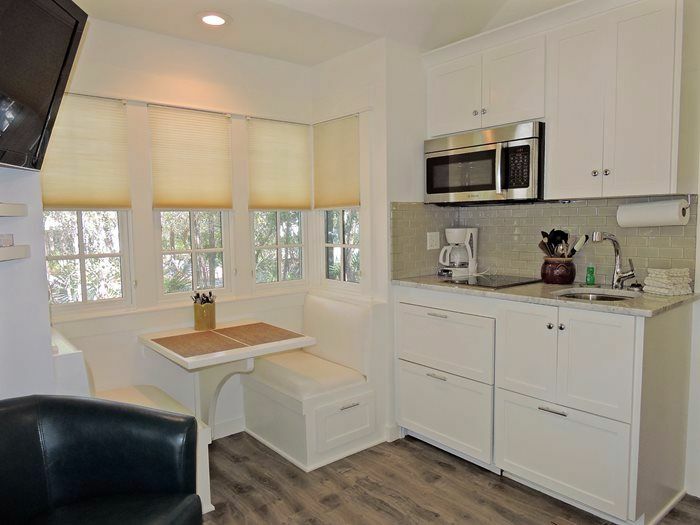 The cute kitchenette features granite countertops, a subway tile backsplash and white Shaker-style cabinets. Built-in banquette-style dining seats save space and add character. The living area is comfortable and laid back with a sleeper sofa and leather accent chair. Craftsman-style trim adorns the windows and doors. 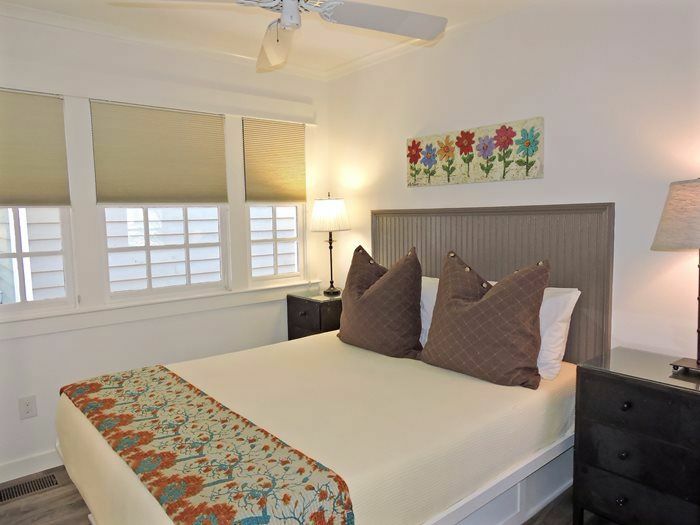 The bedroom is light and inviting with a queen-sized bed and three bright windows. Roman shades provide privacy, and a painted beadboard headboard adds country charm. The all-white bathroom is clean and classic. 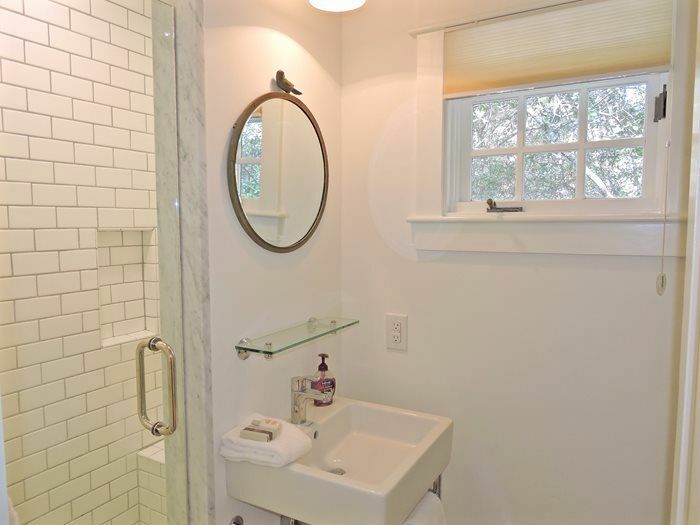 The subway tile shower features a built-in bench, while the round mirror with a bird figurine on top provides a bit of whimsy. What are your thoughts on this cottage? Let us know how much you like it by sharing it with your friends!